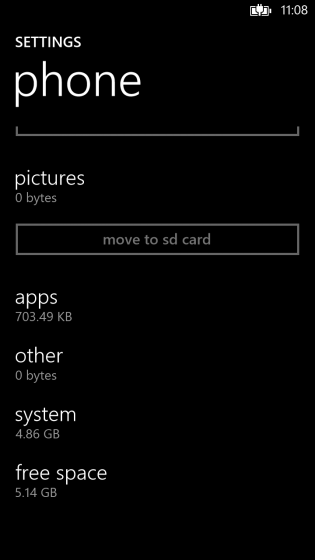 It was only a matter of time before screenshots of Windows Phone 8 leaked from the preview SDK. The developer tools came with an emulator to create WP8 apps on your Windows PC, and WP7.hu is the first to extract and post what could be the first consumer look at Microsoft’s upcoming operating system. First you’ll notice that the resolution, by default, is 720×1280, a number we’ve grown quite accustomed to with Android. And some of the newer features that weren’t necessarily touched on during the initial reveal are quite enticing. You can see from the top image users will be able to customize your lock screen with pertinent information from the calendar, messaging and phone apps. 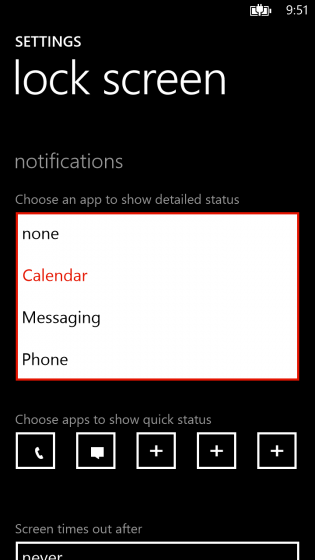 This was a huge missed opportunity in Windows Phone 7 and we’re glad Microsoft is bringing more user customization to the platform. 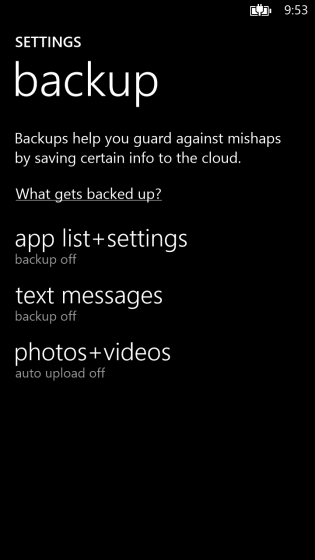 Cloud storage and backup is also something Microsoft is pushing hard in this latest release. 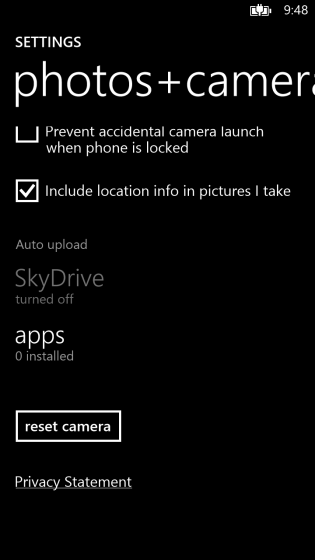 More apps than Skydrive will be allowed to auto-upload photos and documents — think Dropbox, Sugarsync, Box automatically uploading your stuff in full view of Microsoft’s sharing APIs. We’re all for non battery-killing background processes. It also looks like you’ll be able to back up text messages and app list+settings, which likely means a fast restore after wiping a device or receiving a new phone. Cool stuff. 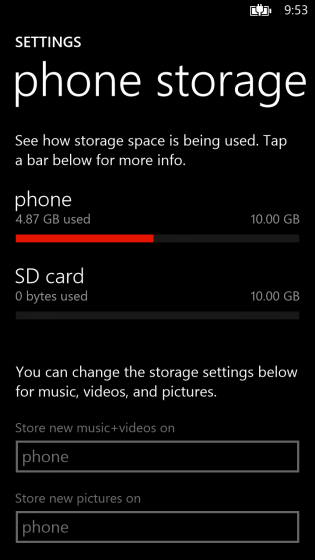 Windows Phone 8 also allows for microSD card storage, and it looks like Microsoft is ensuring that users will be able to take advantage of that extra space by transferring media to the removable chip.